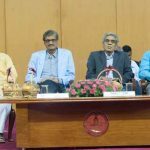 Kanyakumari, September 2017,Monday: Nobel Peace Laureate, Kailash Satyarthi today launched the Bharat Yatraagainst child trafficking and sexual abuse from the Vivekananda Rock Memorial here. He appealed to the youth to join the march to ensure the safety and security of the children, who are the future of India. The Yatra flagged off from Kanyakumari and will culminate in New Delhi on the 16th of October covering 11000 kilometres across 22 States. In Tamil Nadu, the Yatra will pass through Kanyakumari, Salem, Madurai, Vellore and Chennai. “My war to end all forms of abuse against children starts today. Are you with me?” he asked thousands of people gathered at the venue. The Bharat Yatra conceptualised on the theme of Surakshit Bachpan- Surakshit Bharat (Safe Childhood- Safe India) is the movement of the 21st century which will combat the evils of all forms of violence against children. The Yatra saw Sh. 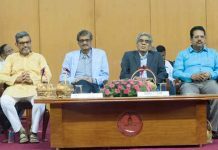 Pon Radhakrishnan (Member of Parliament from Kanyakumari and India’s Minister of State for Finance and Shipping) and Ilaiyaraaja (Indian Film composer) as guests of honour. 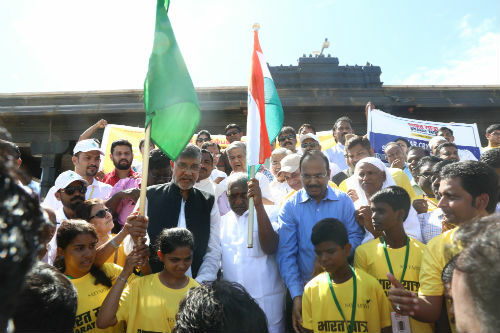 The flag off took place at the rock memorial, and Mr. Satyarthi was joined by government officials, school children & teachers, survivors and media persons as he marched for the children of our country. The Nobel Laureate then marched to the football ground and addressed a gathering of children, college students, local body officials, and civil society, appealing to their conscience and urging them to find solutions to the growing menace of child sexual abuse and trafficking. Government officials, ministers, faith leaders, corporates, civil society, media persons have all shown unanimous support for Mr. Satyarthi and his foundation to undertake the Bharat Yatra. “Today is a very special day, for all of us. People like Rabindranath Tagore,C.V Raman and several other Indians have won a Nobel Prize in the past, and Mr. Kailash Satyarthi is in the same legue, who is a very special person for Tamil Nadu and Kanniyakumari. We thank Mr. Satyarthi for launching the Bharat Yatra to end child sexual abuse and trafficking from Kanniyakumari and Tamil Nadu,” said Pon Radhakrishnan, Union Minister of State for Shipping and Finanace. As the architect of some of the largest civil body movements for a cause, Mr. Satyarthi will be working towards his goal of eradicating all forms of violence against children in the country. His demands for the safety and security of children include pushing for a bill in the parliament to ensure better implementation of laws and stricter action against violence against children. The Yatra has received wholehearted support from Prime MinisterNarendra Modi whose message was also read at the launch.